Super Hero Hype has obtained some promotional images for next year's hotly anticipated blockbuster The Avengers. We may still be waiting for actual studio-issued photos featuring real-life actors, but these should hold quell rabid fans, for the time being. Most notable in these new images is a clear look at the full costume for Hawkeye (played by Jeremy Renner), which looks to be very much inspired by Bryan Hitch&apos;s Ultimate Hawkeye design. Aside from new characters, director Joss Whedon and the folks at Marvel have apparently updated the look of the Hulk as well, making the Green Goliath much bulkier than he was in 2008's The Incredible Hulk. We suppose when you change the actor playing Bruce Banner (from Edward Norton to Mark Ruffalo), a redesign for the Hulk himself isn't far behind. The second image that Super Hero Hype has provided is of the film's villain, Loki. Tom Hiddleston&apos;s layered portrayal of Thor's half-brother was definitely a highlight in the God of Thunder's big screen debut, this summer's hit box office Thor, but the character's look of was a bit underdeveloped. However, this piece of art shows the God of Mischief looking fierce as ever with a tweaked costume that's heavily inspired by comic book artists like Mike Deodato and Sebastian Fiumara. 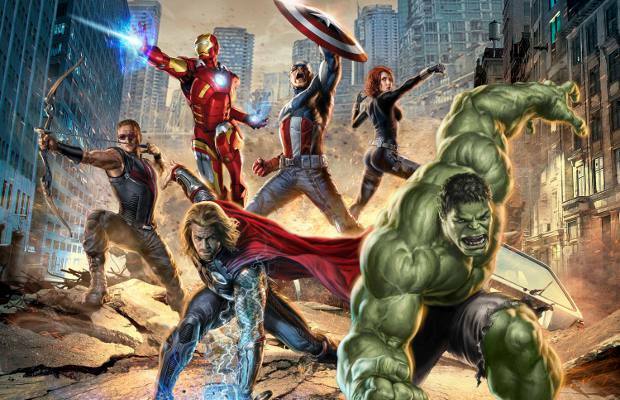 We'll see if these powerful images can translate to a great film when The Avengers gets released on May 4, 2012.